We told our family and friends on we were having a boy with a Christmas reveal. For our parents that we saw on Christmas Eve night and Christmas day, we wrapped an ornament filled with confetti. Our friends and family received cards in the mail for them to open on Christmas day. See how they turned out! This is one of the Christmas cards that was sent. I wrapped the envelope filled with confetti like a present. This is one of the ornaments for our parents to open. The day was filled with a lot of blue confetti and lots of phone calls and text messages celebrating our baby boy! I make Corbin’s coffee every morning, so I had an idea a while back to get him a “dad” mug and have it facing the other way so when he took a look at it he would know. I didn’t expect him to not notice it was a new mug though. He walked around with it for about a half hour until I asked him if he liked his new mug. He only looked at the backside which said “Life is Good” and replied “Thanks, but I feel like it’s one of those cheesy dad mugs.” I then told him to “look at the front” which said “Best Dad Ever.” He just laughed and had a huge grin. The next people we told were Corbin’s mom and stepdad because we had a weekend planned to visit them. I thought I would keep the mug thing going and made them two with an oil-based Sharpie and plain mugs. My mom was next with my sisters. I included a cinnamon bun with the mugs for a breakfast package. Everyone was thrilled about the first grand baby! This is one of the matching mugs for my sisters. Now that our close family knew, it was time to let our friends know about our news. They got a package like this with a card (see below) that had a personalize message. My friend, Ashley, was actually the first one to know I was pregnant because she told me she was. It’s pretty crazy that our due dates are two days apart! I didn’t want her to feel left out about not getting a mug so I made her the one pictured above. My coworkers were greeted one Monday morning with a message letting them know there were “buns in the oven” for them to enjoy. Corbin sent a message to his friends and family members asking what they thought of his new mug shot. To tell the rest of our friends, Ashley and I wore matching skeleton costumes to our friend Halloween party. Now it may seem like everyone knows, but we still had to announce on social media which is where we used the first photo with of both holding our mugs. Be on the look out for belly shots and the gender reveal! We had a blast playing with food and think everyone should try it! Get the directions for the faces we created and check out their crazy names by clicking on the images. Get directions and more information! 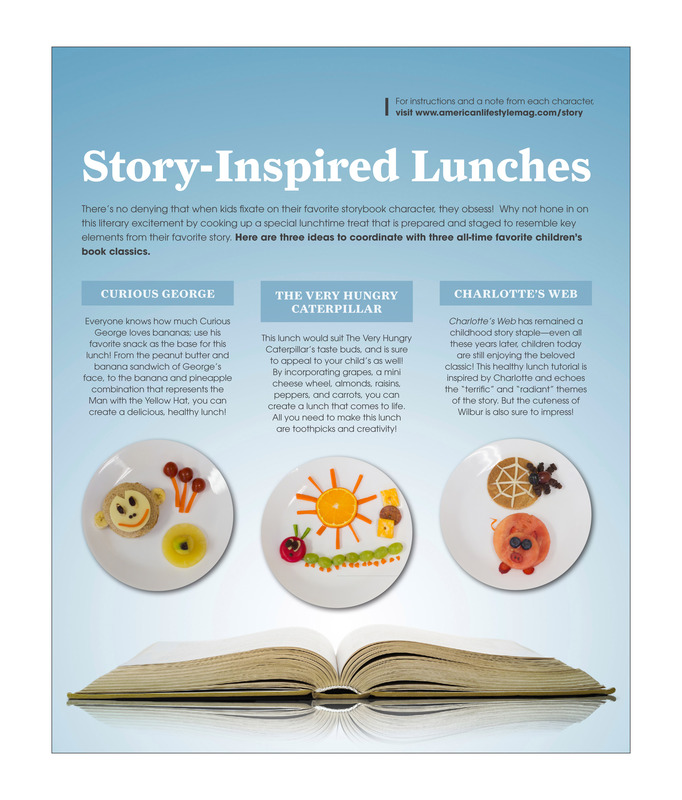 The lunch fun continues and this week it is pretty simple (the opposite of last week). All you have to do is download, print, cut, and glue. 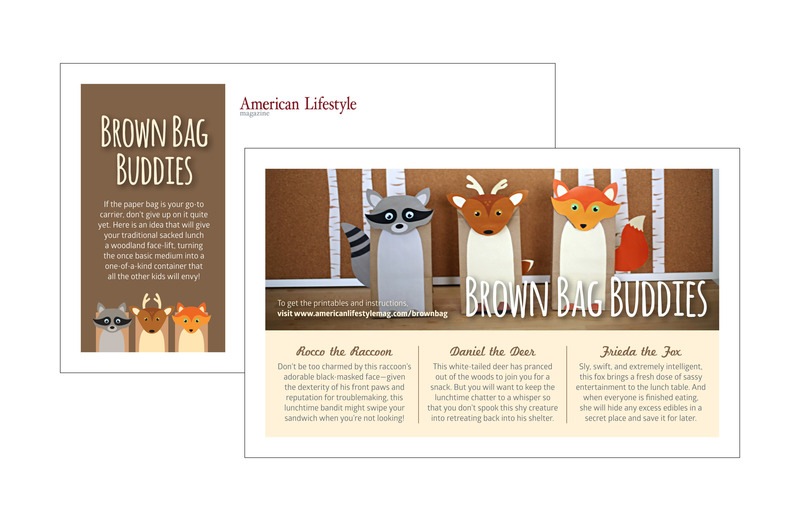 These woodland characters were so much fun to create, and I hope you have just has much fun using them! After people ask me what I do for a living, they are usually so fascinated when I say I am a graphic designer. I get a lot of “Wow, that must be fun!” and I can say they are right to an extent. My job is fun, but it is still work and I do spend 9 hours a day there so it is not the great time that people think it is. The next few weeks I am going to show you some of the really fun aspects of what I do at work. Behind-the-scenes there is a lot of running around, crossing fingers that ideas work, and juggling all my other responsibilities. Okay, I know you don’t believe me that it is hard work, but see for yourself! 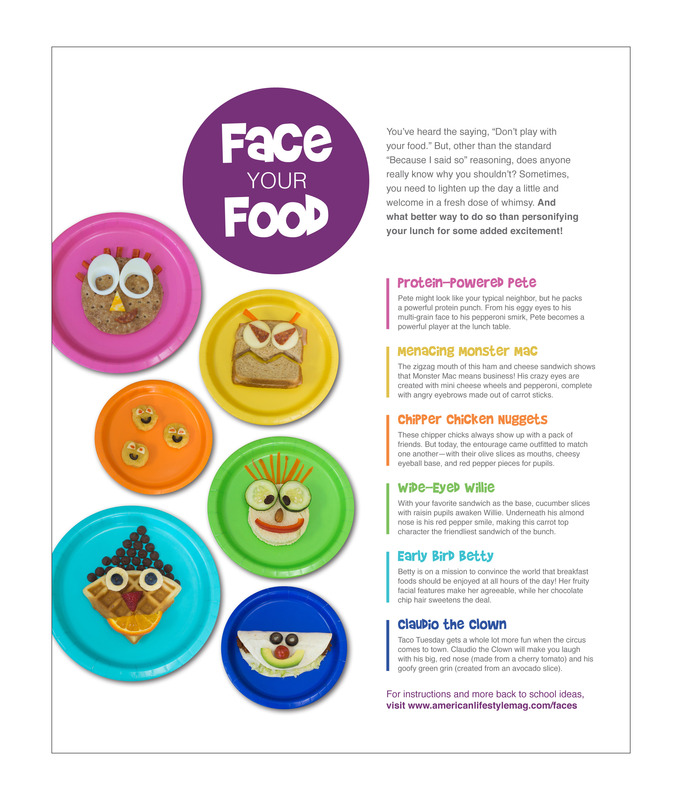 See how to make these for yourself on my work’s website! Welcome to day two of my first anniversary countdown! Today, I will be showing you the project I spend the most time on, but I think it was well worth it. 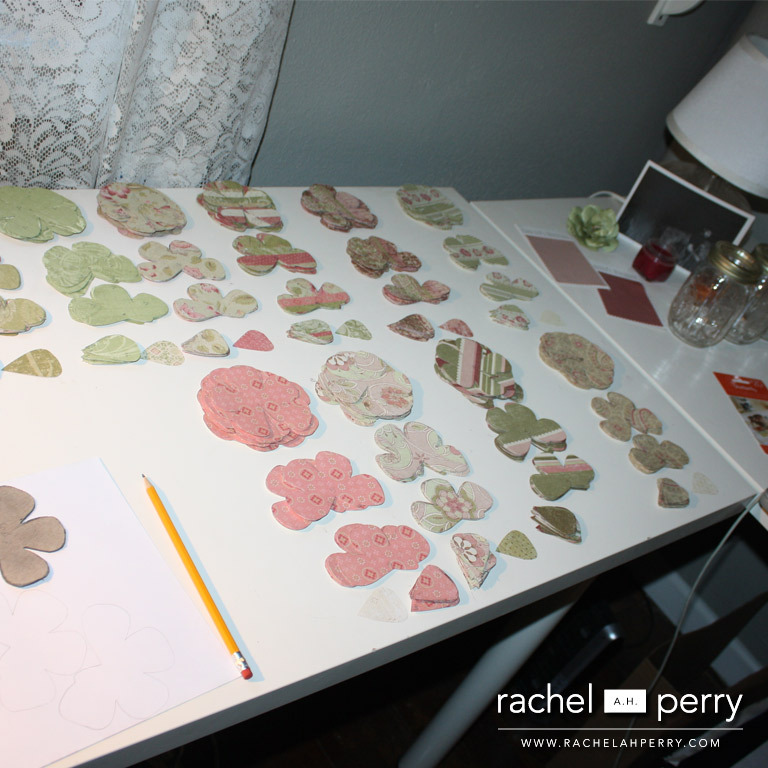 Before I even started planning for the wedding, I knew I would have to come up with an economic way to do the flowers. The idea of putting together my own arrangements gave my anxiety because it would be so close to the actual day. Paper flowers were perfect! I could have them done months in advance, and they still looked beautiful. I loved that they looked like flowers but maintained individuality with patterns and colors not seen in nature. This is what my office looked like for months. It could have been a paper flower factory. 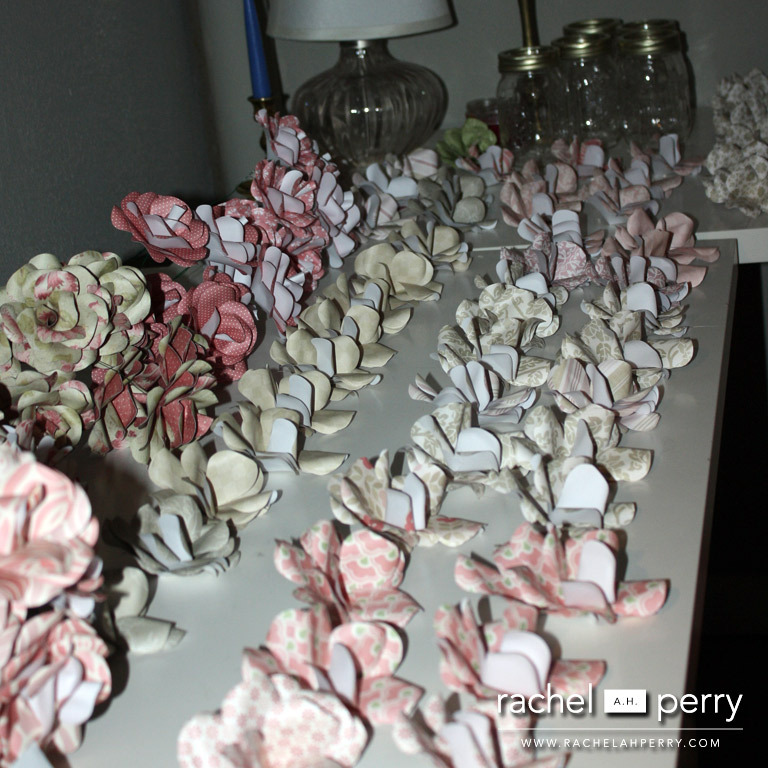 In the end, I made over two hundred flowers! 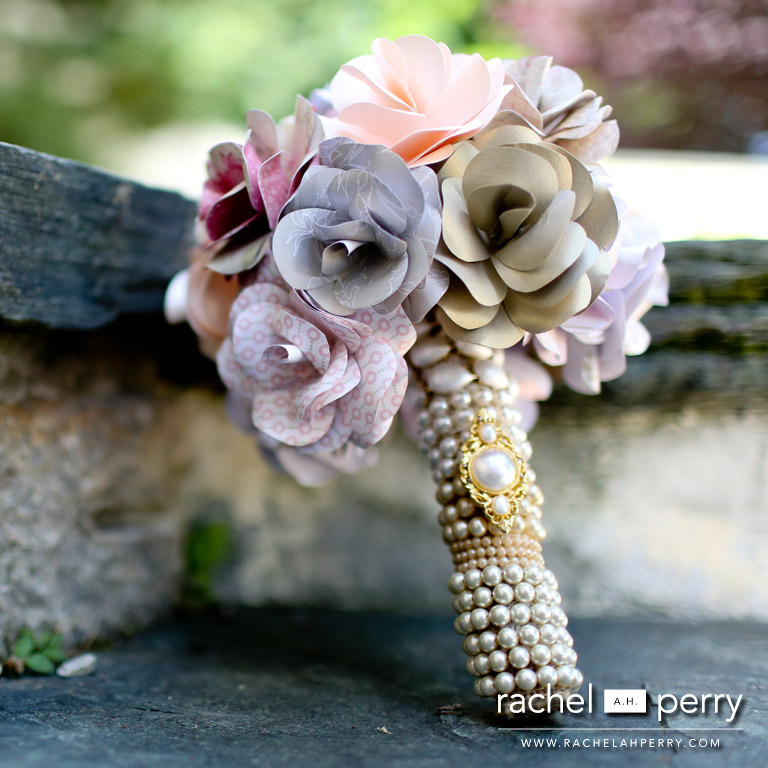 My bouquet was wrapped with my mother’s, grandmothers’ and great grandmother’s pearls. Corbin’s boutonniere was a gold flower that I wrote my vows on in white. 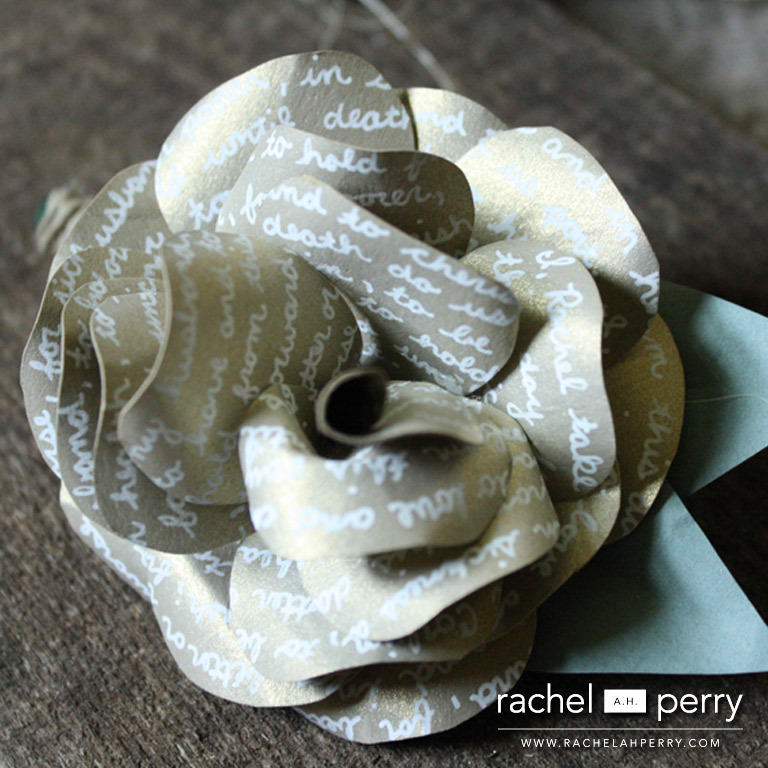 I had a gold flower in my bouquet with his vows written on it too. 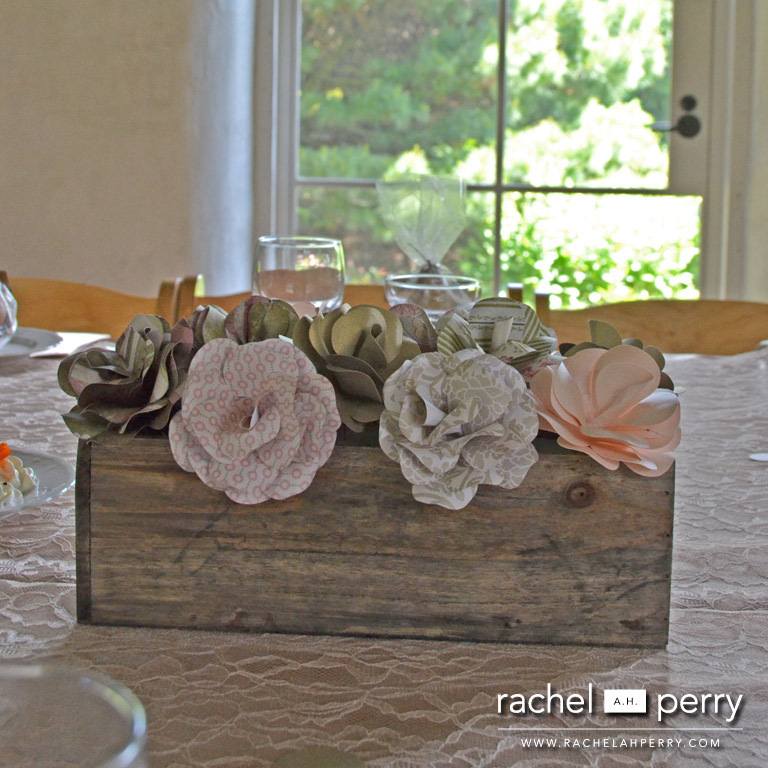 This is just one on many centerpieces. Look out for my post on Thursday for some more. Check out Lia Griffith’s tutorial to make your own!